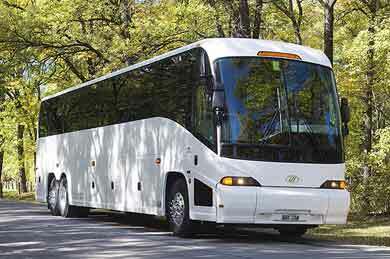 When traveling with a group of friends, family, or colleagues, you may need to find a charter bus rental. Charter buses are the perfect solution for preventing groups of people from getting separated when visiting a new area. There are numerous bus rental options available including mini buses and shuttle buses for smaller groups or 30-50 passenger charter buses for larger groups. Each charter bus rental comes equipped the best amenities to keep your company satisfied. We have some buses with TV/DVD players, LED lighting, leather seats and more. Below is a list of cities A1TampaLimo offers service to. You may also be interested in hiring a charter bus rental on the East coast of Florida. Visit http://www.ftlauderdalelimo.com/fl/.